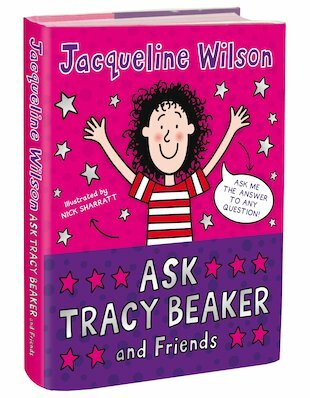 A diary packed with magical instant advice from all your favourite characters, led by livewire Tracy and her words of wisdom! Truly a diary with a difference, this book is part blank – your space to jot in your own wisdom and say all the things you want to say. But when you’re stumped or in need of inspiration, that’s when Tracy and her friends chip in with handy hints and ideas. Is there a question you’re dying to know the answer to? Open the book at random to see what Tracy, Hetty, Beauty and their friends say. Maybe it’s time to go on a journey, or cuddle a favourite pet – or to write an entry in your journal! Packed with funky artwork, it’s the place for solving all your dilemmas and problems in! as soon as you see the cover you can’t stop yourself from buying it.I myself have not bought it yet though it sounds great.As soon as I buy it I will write another review about it.